In 2009, several deep volcanic collapse pits were discovered on the Moon by the Japanese spacecraft SELENE. The Lunar Reconnaissance Orbiter Camera subsequently captured high resolution oblique images of the pits, revealing that some of them opened into subterranean caverns, and that the walls of the pits exposed up to 40 meters of pristine lava stratigraphy. The Moon Diver mission concept proposes to send the JPL-developed Axel extreme terrain rover into one of these pits, rappelling down the wall to expose the history of the lunar mare, and to illuminate the workings of the flood basalt eruptions that created them: eruptions on a scale never before witnessed in the history of humankind. 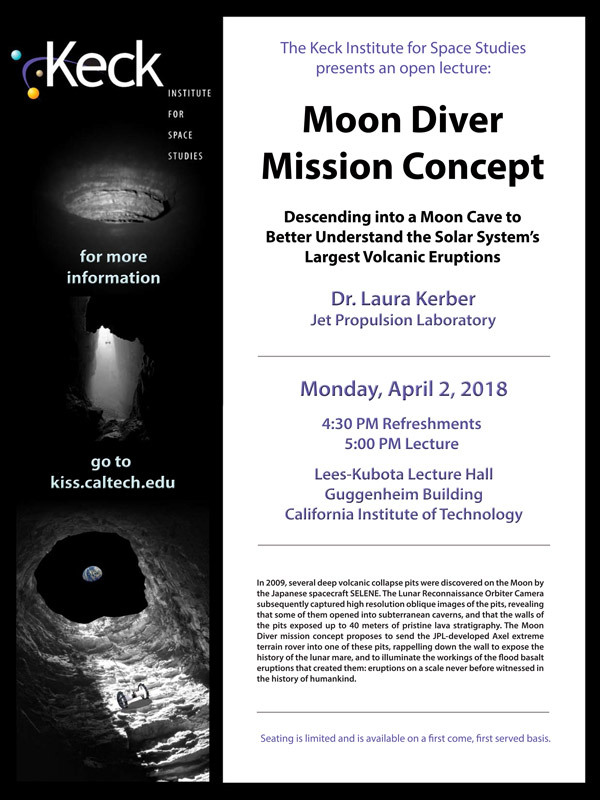 Dr. Laura Kerber is a Research Scientist at the Jet Propulsion Laboratory studying planetary geology. Her research interests include explosive volcanism, wind erosion in deserts, and extraterrestrial caves. 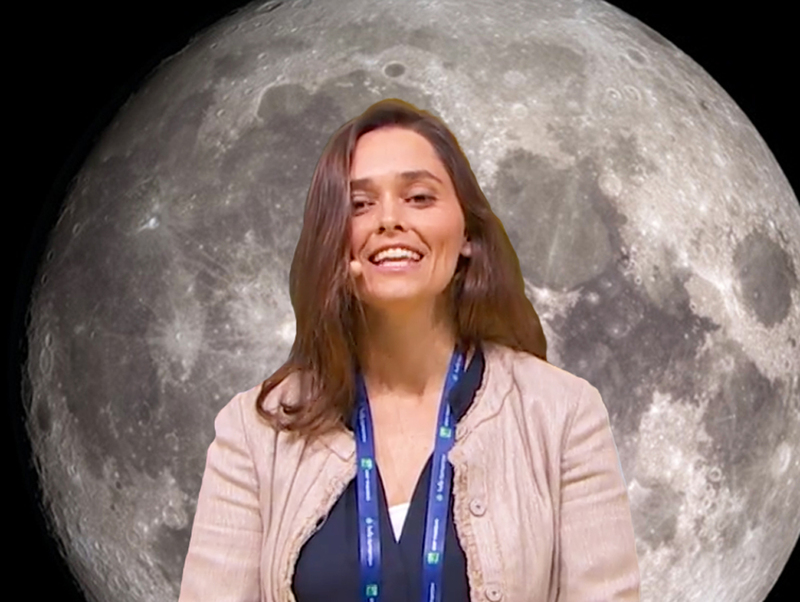 Her work focuses mainly on Mercury, Mars, and the Moon. Dr. Kerber holds two Masters Degrees, in Geology and Engineering (Fluid Mechanics), and a PhD in Geology from Brown University.